Composing a speech to celebrate a friend’s birthday, especially one that is a milestone, can sometimes prove to be an intimidating task. 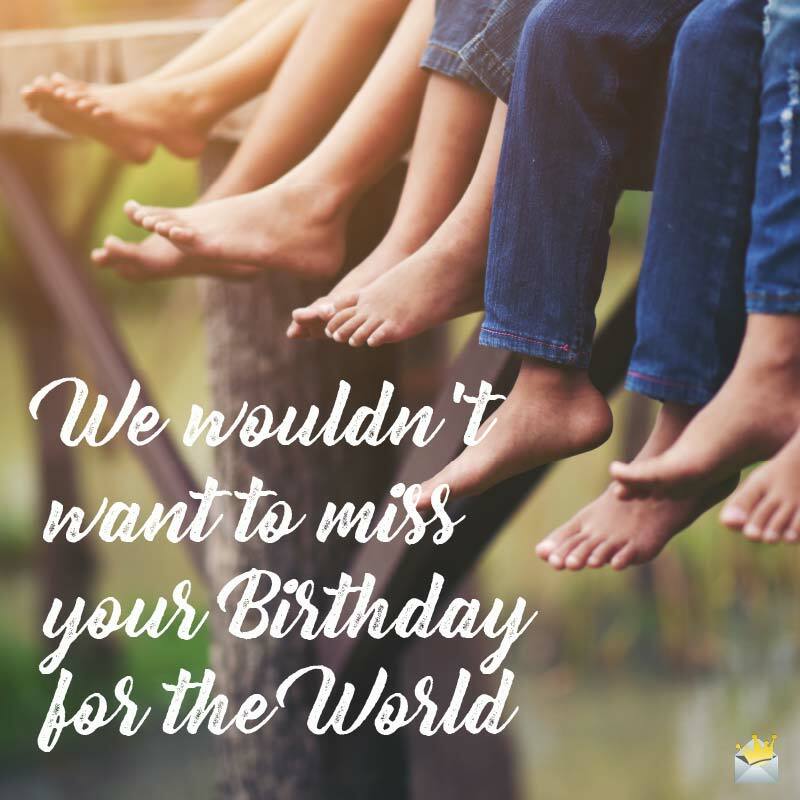 However, we have made the process exponentially easier by providing you free, ready-to-use presentations for such occasions that would let any such person know how much you truly appreciate their special companionship. I can’t thank all the beautiful people here enough for gracing the occasion of the 21st birthday of [Name of Friend]. To say that I’m thrilled to celebrate this special day with [Name of Friend] is the best definition of an understatement. Buddy, today as you transition fully into adulthood, I think I can safely speak for all of us when I say we are overjoyed to share this day with you. Additionally, we are all fully confident in your ability to not only survive but prosper on your own. That being said, I feel honored to be making this presentation not only to officiate my boy, my friend becoming a man, but also in hopes that when that prosperity does come he dare not forget me. In our teens we do a lot of dumb things, and in our twenties we sometimes do things twice as stupid, but as for someone with such a sound mind as you, I know this is going to be the best decade of your life so far. You are going to get married, you are going to start a beautiful family, and make all of the people who love and care for you, including of course myself, extremely proud. So I end this speech thankful not only for my friend reaching this notable age but also for the glorious future that awaits him. 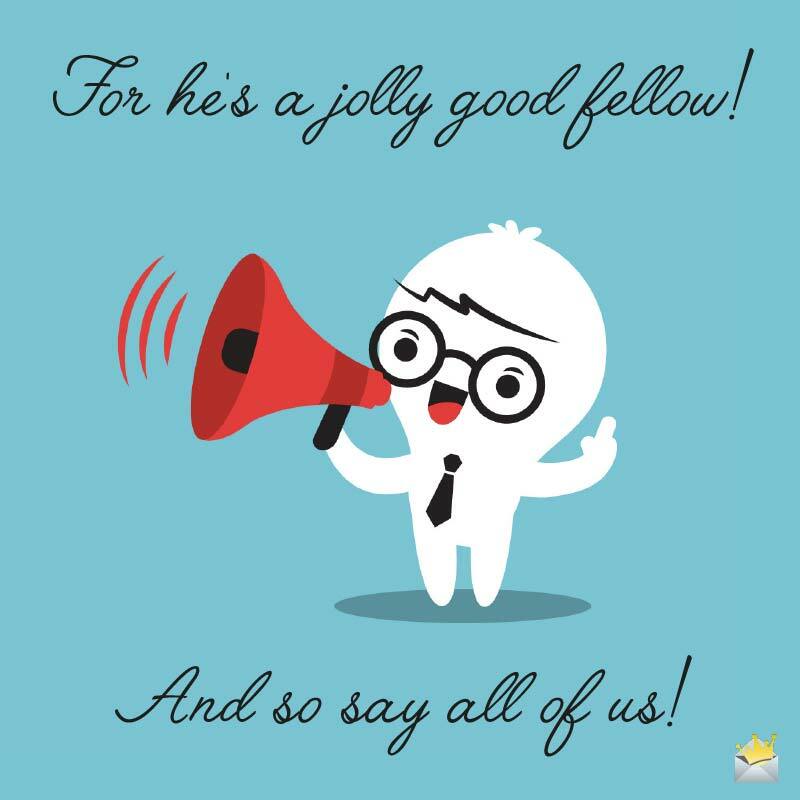 For He’s a Jolly Good Fellow! And so say all of us! Today you have the privilege of not only being the guest of honor but also entering into one of the most exciting periods of your life. We are all here to congratulate and to wish you many more years of health, productivity and growth. Being 21 invokes feelings of envy in some people, who wish that during those robust, irreplaceable years they had spent their time more constructively. Therefore I am here to implore you to use these next years of your life wisely. Don’t be “young, dumb and full of c*m” and make mistakes that can haunt you for decades. Focus your energies on being genuinely productive because if there is one thing all of us gathered here have in common it is the belief that whatever you put your mind to, there is absolutely, positively no reason why you can’t achieve it. In some ways I wish I also were you. I wish my mind was still at the stage of seeing only potentials without acknowledging the harsh realities of life, as it is often that same thought pattern that proves to be a prerequisite for greatness. Then combine those beliefs with the qualities, talents and support system you already possess, and again the world is yours. So in conclusion, let me say welcome to this new stage of your life, the stage where you are the sole superstar. [Name of Friend], may you continue to grow in strength and make us all proud. Happy birthday. The world can be a scary place, which is why I am more than honored to officially welcome someone as fearless as yourself into adulthood. I know what it feels like to be paralyzed with fear, and I also know what it feels like to be so confident you can take on the world, and I’m glad you naturally possess the latter frame of thought. I have no doubt, absolutely no doubt, that the world is your oyster, that if the path is not already laid for you as you tread the path to success, the angels themselves will clear the way. The only way I can think to adequately end this brief oration is by sharing my prayer of not wishing any drastic change in your character but only that you mature, become wiser and fully realize all of the internal gifts that have be entrusted to you. I believe that you are a special blessing to us (your loved ones) and the entire world at large. [Name of Friend], you’re the world’s most phenomenal 21 year old! May God bless you with many more birthdays filled with immense blessings and joy. At this juncture, let the party officially begin. We wouldn’t want to miss your birthday for the world. Wow, 30 years of perpetual, never-ending greatness! If I were not close enough to bear witness myself, I’m not sure I would even believe it is possible. You have always shown yourself to be beyond your years in wisdom, discipline and maturity. You have established a foundation for yourself where others have faltered. This isn’t about me overpraising you because again as your close friend I know you aren’t perfect. This is about me being excited about the future, a future with you. This is about me saying ‘wow, if he is this great now, how great will he be when he’s 40, 50 or 60?’ This is about life being a movie with you being the deserving star, and people such as myself, who will always find a way to attend your birthday celebration no matter what, always desiring a sequel. I guess what I’m trying to say is as much pleasure as it has been growing up with you, as much of a joyride it has been partaking in your friendship through various stages of my life, I know the future, your future, is going to be better. Right now you are neither young nor old. You are in the perfect position to assert yourself more upon the world. So today, sorry to say this, but I’m putting a burden on you. The burden is to use the roots you have already established to now grow into a mighty oak, with the magnitude of your accomplishments providing not only shade to yourself but also the countless others who can use your services. Happy birthday, my dearest friend. I can come up here and shower you with all types of lavish words, but the truth is even if no one came out today to pay respect, metamorphosing into such a wonderful tricenarian in itself is a helluva accomplishment you should forever be proud of. [Name of Friend], I know I don’t often say it but your friendship is such a great blessing in my life which I shall never ever stop treasuring. You are more than just a friend; you are a role model, an icon, a living legend. You may never receive the accolades properly due to someone of your stature here on earth, but most assuredly the heavens have plenty of prizes in store for you, as is evident because you have already been receiving them. You are a person who everyone would feel greatly privileged to have as a friend. Happy 30th birthday, my dear friend! Here’s to you and the beauty you bring into our lives every blessed day. In my eyes, there is no greater pleasure than honoring someone who genuinely deserves it. Thank you a trillion times for coming into my life and being a true friend to me in this lifetime. Will love you always. They say that now over half the world’s population is under the age of 30, so reaching the age of 40 is like being an elder 100 years ago. But all jokes aside, it was a privilege being your fellow journeyman as you made it through young man/womanhood into an established adult. Yes there were challenges along the way, but none that you were not able to surpass and then come out the better person as a result. Knowing that my children have someone like you to look up to as an uncle/aunt gives me full assurance that if I ever need an additional voice of wisdom to help steer them in the right direction, one is just a phone call away. And likewise it is my honor, indeed my privilege, to continue to serve as your faithful friend in any capacity you may need me. So as you continue through life’s journey to days more glorious than even those you left behind, know that I and other loved ones will be there to staunchly cheer you on every step of the way. From the bottom of my heart, I wish you an absolutely beautiful and blessed 40th birthday. Big congratulations to you on turning 40 today! Despite the fact that you have officially reached what most people refer to as the middle age, I feel as though you are just beginning. 40 is a beautiful and very exciting chapter of life. And as you enjoy the incredible excitement that dwells in this chapter of your life, it’s my hope that you will use all of the invaluable knowledge, experience and love you have obtained throughout the years to go all out and fulfill what you perceive as the ultimate goal. For someone as accomplished as yourself, perhaps others will look at you and say, ‘He’s already done so much. He has nothing left to prove.’ But as for me, I am cognizant, indeed even awe-stricken, of the amount of latent potential you still possess. Owing to this, I strongly believe the latter half of your life will be even more amazing than the first was. So my friend, go and travel to an exotic location, write a book, buy the pet pony you have always wanted – you get the idea. We are all already blessed by your companionship, and we are going to be even more blessed by what you have yet to achieve. So let me wish you a happy birthday, one that you will enjoy with all your heart yet will still be undermined by the ones that are yet to come. Ready? 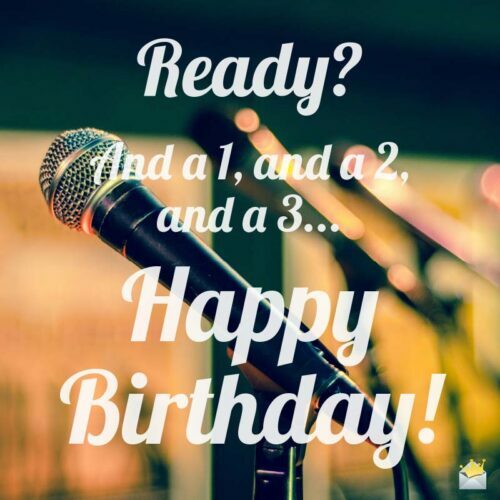 And a 1, and a 2, and a 3… Happy Birthday! Aging used to be something I feared until I got to know you, a person who has now reached the age of 50 while simultaneously defining what it means to age gracefully. Aging gracefully means you may see changes on the outside, but on the inside you still possess the same zest for life, if not more, than someone who is new to the world. And this is also not to insinuate that there is anything wrong with the outside, for in my humble opinion you are the personification of the age old proverb that if a person is beautiful internally, it will reflect on them externally. In other words you are aging as one is supposed to age – or let me say as we would all like to age – by becoming more beautiful, more pronounced in your ability to survive, rather than decaying. Indeed one of my greatest aspirations in life is to become more like you, to have people look at me and say, ‘What’s her secret?’ So that is why when the opportunity presented itself for me to give this speech I didn’t shy away, not only for the chance to wish you a happy birthday but also to exclaim in front of the entire interconnected world how great you are and how much you are an inspiration to the lives that you have touched. Happy 50th birthday, my dearest friend. It’s my hope and prayer that you’ll forever glitter and shine like priceless diamonds spread under the glorious rays of the sun. Today the onus has fallen on me to try to encapsulate 50 years of an amazing life with just a few short words. I mean just think about it – when we first met, you were too young to work, and now in a few short years you are going to retire. I’m not going to deceive myself into thinking I can succinctly summarize all of your fiery trials and incredible triumphs, all of the painful sadness and carefree jubilations. Instead I’m going to keep things brief by simply letting you know how we all feel – we love you; we are proud of you, and we can’t think of any way to pass this day more appropriately than honoring one of the greatest men we all have the pleasure of knowing. Now speaking on behalf of the guest of honor, someone who I know better than my own right hand, let’s all grab a drink, get thoroughly intoxicated and thank God for bringing us all together on this special day. Happy 50th birthday, buddy. May the good things of the universe always walk with you. Today I have come to honor one of the greatest influencers on my entire life. And when I refer to the motivation that you have instilled in me, I mean it only in a positive way, as in you have done nothing but inspire me to do great things. Yes, there were times that you barked on me so hard I felt like calling my mommy. Both those are the moments when I also learned the most about what it means to be a true professional. Indeed I will go even further and say working with you has been fun as well as educational, as you always proved more than a boss but even more-significantly a genuine friend. So on this special day, if the heavens will hear my wishes, there are two things that I humbly request. One is that you get so old that when you finally leave the mortal plane, it will be by your own desire and not by force. And second is that the special bond we have established throughout the years last for the entire duration of our lives. You have been the perfect working partner. Truth be told, I would not have made it this far without you, because for the most part I just copied your work anyway. That’s right – I emulated myself to success. And I am most grateful for having such an outstanding person in my life that has proven to be such a positive influence. Today, we are partners, and I am hoping this companionship lasts until the day we no longer have to report to this miserable place and instead are collecting our big, phat paychecks at home. And I am also anticipating that every professional advancement I make, you will be present every step of the way, benefiting from my efforts also, as I don’t know many other people who would be so gracious with being plagiarized. But all jokes aside, it is an honor for me to be here and an even greater privilege being deemed worthy to actually give this speech. I know I speak for all of us when I say I look forward to doing this again next year, the year after that and into eternity, giving proper recognition to one of the kindest partners in the world. I can stand up here and tell many hilarious stories from your past, like the time you got too drunk that you thought that mannequin was an actual woman. See, look at the way he’s smiling – he didn’t even know I knew about that one. But that’s what friends are for. Friends are there to pick you up when you’re down. Friends are there to visit you in the hospital when everyone else has written you off. Friends are there to steal your car keys when you’re so inebriated that the chances of you making it home in one piece is about as successful as a box of hot French friends. And these are all favors that he has selflessly done for me. So please I implore, indeed beg you all – eat to your heart’s content and drink your gluttonous fill. I mean it’s not like I’m paying for it. But in all seriousness, it is my pleasure to spend this special day with you. And I think it is safe to say that the sentiment of every one in here, including myself, is that you continue down the merry path to a long, wonderful life. First off let me say this is a special day to me. And I know it isn’t my birthday but rather that of my lovely sister. However, each anniversary of her life is a great cause for me to celebrate. This is because she has always been an invaluable and inseparable loved one who has been there for me. On top of that, no one knows her quite like I do, and the same goes for her childhood knowledge of me. But now looking at her as an adult – all I will say is that whenever I consider your accomplishments, I know that we share the same DNA, so I must be able to perform the same great feats also. And your future is even brighter than your present. I would adore seeing you one day with children. Or I would love watching you wholeheartedly pursue your professional endeavors. In other words, whatever road you decide to take, indeed whatever life throws at you, I am right there by your side. But now enough of the blatant as**-kissing. I think the true moment we have all been waiting for is digging into that delicious birthday cake you have baked! You have known me my whole life and know I am not much of a public speaker. In fact you used to admonish me for being too shy. And while I have come a long way since then, honestly I still get the jitters being called upon to do things like make this speech. But this is an opportunity that I couldn’t let pass me by, because I have not only come up here to talk about a great man but also my very own brother. You have indeed come a long way from days past. Now people cannot help but complement your accomplishments. But even before you were the man you have become today, I always looked up to you. And I thank you more than anyone for proving that the person I had so much faith in indeed proved to be a champion. I have no doubt the future holds great things for you – happiness, good health, honor and riches. I just ask that when the day does come when all of your aspirations are physically manifest, you won’t forget to pass some of the blessings down to your little bro.